More than 500,000 women and girls across the country—most of them living in metropolitan areas—are at risk of undergoing female genital mutilation, a procedure that has long been practiced in many African and Middle Eastern countries as a cultural custom but has been illegal in the U.S. since 1996. A report showing the number of women at risk was published in January by the Centers for Disease Control and Prevention, and the figure was much higher than previously estimated. A separate report last year by the non-profit Population Reference Bureau (PRB) determined that women and girls most at risk were concentrated in major cities like New York, Minneapolis, Los Angeles, and Washington, D.C., where large diaspora immigrant communities have coalesced. Female genital mutilation, also called cutting or FGM, involves partial or total removal of the external genitalia for non-medical reasons, with no discernible health benefits. Nearly one-third of the estimated 513,000 women at risk are under the age of 18, according to the CDC and PRB data. With regard to human rights, the responsibilities of the Department of Justice—and the FBI—relate primarily to enforcement matters of five specific laws. - Female Genital Mutilation (18 USC, Section 116). - The perpetrator, regardless of nationality, is located in the U.S. The FBI is proactively investigating tips and leads on this illegal practice. Investigators are hoping victims and community members who are opposed to it will come forward and report cases. Earlier this year, the FBI and U.S. Immigration and Customs Enforcement (ICE) recognized the International Day of Zero Tolerance for Female Genital Mutilation (February 6) in a joint statementcalling for eradication of the practice. The United Nations leads the zero-tolerance campaign, estimating that at least 200 million girls and women alive today have undergone some form of FGM. Practitioners claim they are abiding by deeply rooted beliefs and traditions. But it is more broadly seen as a human-rights violation. “It reflects deep-rooted inequality between the sexes and constitutes an extreme form of discrimination against women and girls,” the U.N. said in a statement. Despite being a criminal violation in the U.S., the practice continues in a variety of ways. 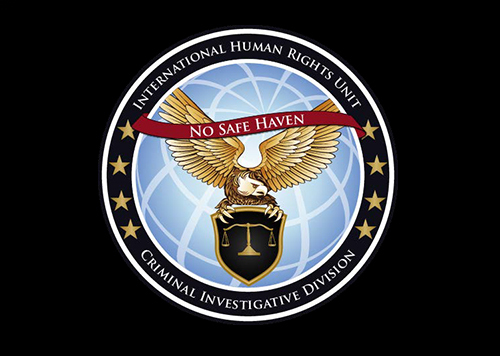 “We believe some of it is being conducted by medical practitioners—physicians, nurses, midwives—and some by female elders within the communities who have the distinction of being what is called a cutter,” said Special Agent Kerry Sparks, who focuses on FGM cases as part of the FBI’s International Human Rights Unit (IHRU). A State Department video released in February, to coincide with the International Day of Zero Tolerance for Female Genital Mutilation, highlights stories of survivors and the role community leaders have in ending FGM. After legislation banning FGM in the U.S. was passed in 1996, some young women were sent on trips to their home countries to have the procedure. In 2012, Congress passed additional legislation, the Transport for Female Genital Mutilation Act, making so-called “vacation cutting” illegal. In 2005, two Southern California individuals pled guilty to charges related to a plot to allegedly perform FGM on two minors. In 2006, an Ethiopian man living in Georgia was convicted on charges of aggravated battery and cruelty to children for performing FGM on his 2-year-old daughter. Unfortunately, it is a rare occasion when someone steps forward to report this crime to law enforcement. Most states don’t have their own laws criminalizing FGM, so many people may not know it’s a federal violation. Anyone who has information about an individual who is suspected of assisting or facilitating the practice of FGM is urged to submit a tip at tips.fbi.gov.